Finally, the trailer of Ranbir Kapoor and Katrina Kaif’s much-awaited movie — Jagga Jasoos is out. 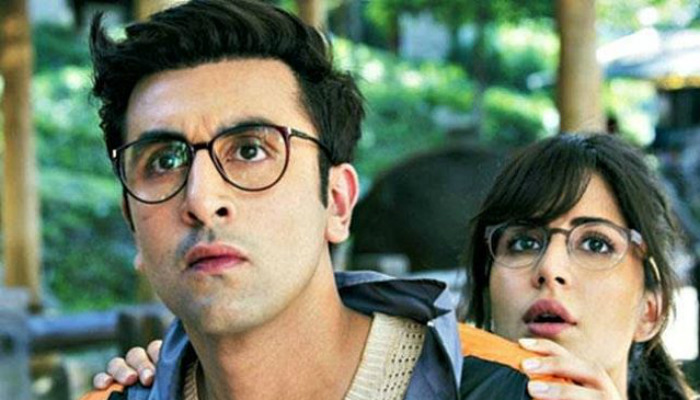 The two will be seen almost after the gap of 6 years in Jagga Jasoos. Interestingly, fans are excited to see Ranbir and Katrina together once again post their break-up. Anurag Basu’s romantic comedy surely has a couple of funny scenes. The story seems to be based on Ranbir’s journey and his will to find his missing father. Soon he meets Katrina and they both embark upon the adventurous journey. The trailer will remind you of Barfi, as the whole 2-minute video is without any dialogues and will give you a feel of jungle safari. There may be chances that you will watch the trailer twice or thrice because at first, it is hard to understand the plot. The film also marks the debut venture of Ranbir and Anurag’s production house Picture Shuru Productions. Not to forget, Ranbir and Katrina’s cute chemistry is the highlight of the film and you will definitely fall in love with their characters. Anurag Basu earlier said that Jagga Jasoos is meant for children, and he literally meant that. Produced by Disney, the film is a story of a teenage detective who will take you on an amazing journey and will surprise you at every step. If a film has to work, then it will work anytime. If we have made it well, then it will definitely be a hit irrespective of the delay in its release. If it’s not made well, then it would have flopped even when it was not delayed. Waiting to watch more from the World Of Jagga !